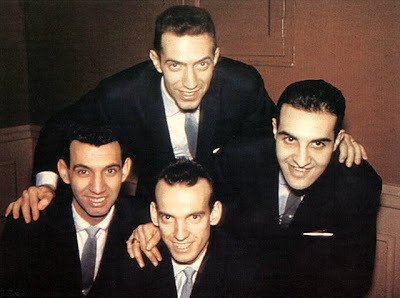 Canadian group from Toronto formed in 1952.consisted of John Perkins(Lead), his brother Ray Perkins(Bass),Pat Barrett(Tenor) and Rudi Maugeri(Baritone). 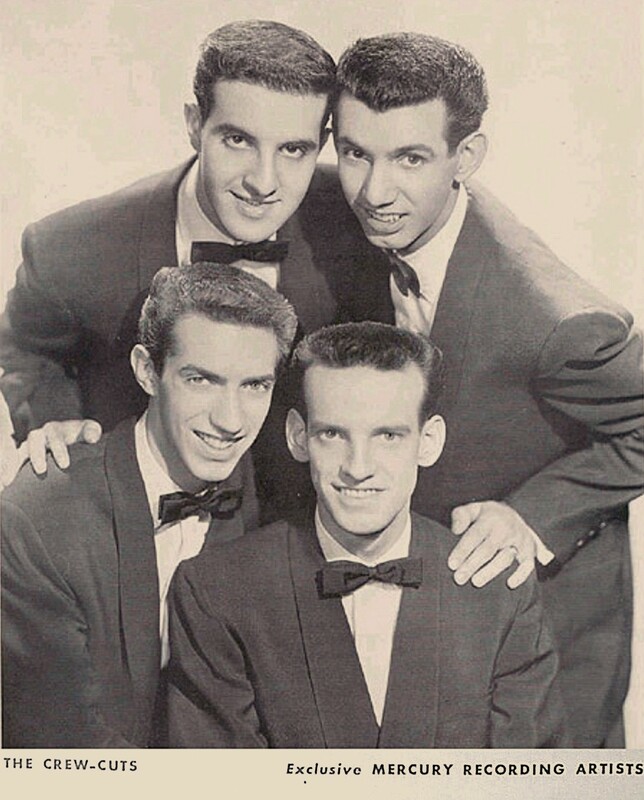 Present in the Kreiter's Vocal Group Record Guide with recordings on ABC,Mercury,RCA,Warwick and Whale Records. -Crazy Bout Ya Baby/Angela Mia. Mercury Records-1954. -Sh-Boom/I Spoke Too Soon. Mercury Records-1954. -Gum Drop/Song Of A Fool. Mercury Records-1955. -Someone In Heaven/Gone Gone Gone. RCA Records-1959. -Laura Love/Little Donkey. Whale Records-1961. In August/September of 1954 they have a number one with their version of the Chord's song_Sh-Boom. 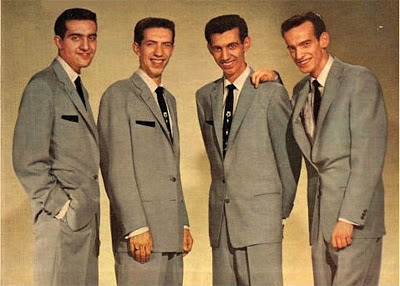 From 1955 to 1957 the group charted 10 songs but with the best charts in 1955... #3 with_Earth Angel. #6 with_Ko Ko Mo. and #10 with Gum Drop.